Features: Rare first issue (Author's name misspelled on title-page as "H. S. Wells"). True first edition, first state. Precedes the British edition. A very scarce true first edition of one of science fiction's great classics. 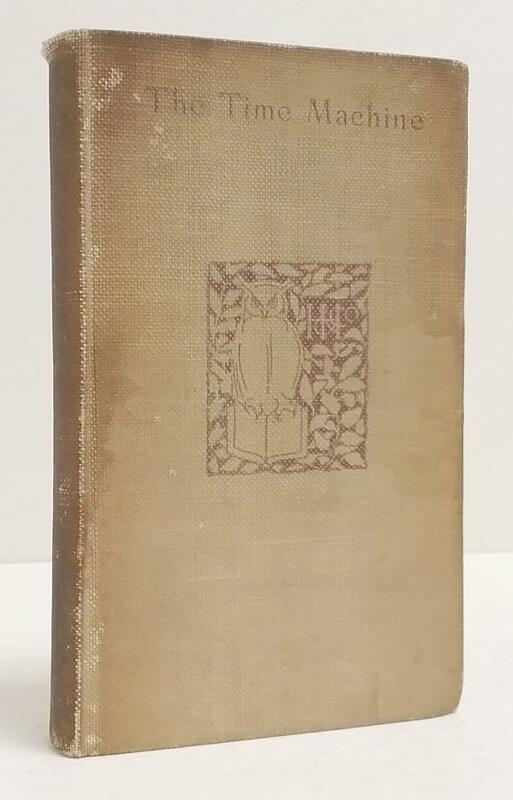 Original buckram, spine and cover stamped purple. Top edge gilt. Frontispiece with tissue-guard. 216pp + 6 adverts. The author's first novel. From the collection of Barry R. Levin, Science Fiction and Fantasy Literature. Book Condition: Very Good: Spine of book is darkened the title can no longer be read, covers show edge darkening and dust soiling and softened corners. 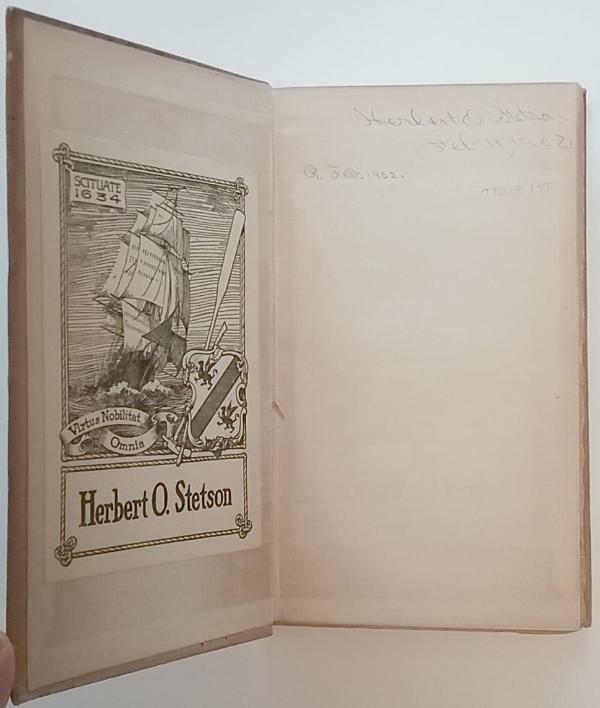 Owner's bookplate to front paste down and name and date 1902 to ffe. Endpapers have very mild offset tanning, there is a closed tear to the rear free-endpaper. The top edge gilt is bright with very small thin patches slightly dulled. The text block is in remarkably bright firm condition. Appears not to have been read.